With their billions of dollars and their business savvy, activist investors Carl Icahn and Bill Ackman have the ability to move markets with the flick of a wrist. But what happens when they run into the one thing in business they can't control: each other? This fast-paced book tells the story of the clash of these two titans over Herbalife, a nutritional supplement company whose business model Ackman questioned. Icahn decided to vouch for them, and the dispute became a years-long feud, complete with secret backroom deals, public accusations, billions of dollars in stock trades, and one dramatic insult war on live television. Wapner, who hosted that memorable TV show, has gained unprecedented access to all the players and unravels this remarkable war of egos, showing the extreme measures the participants were willing to take. 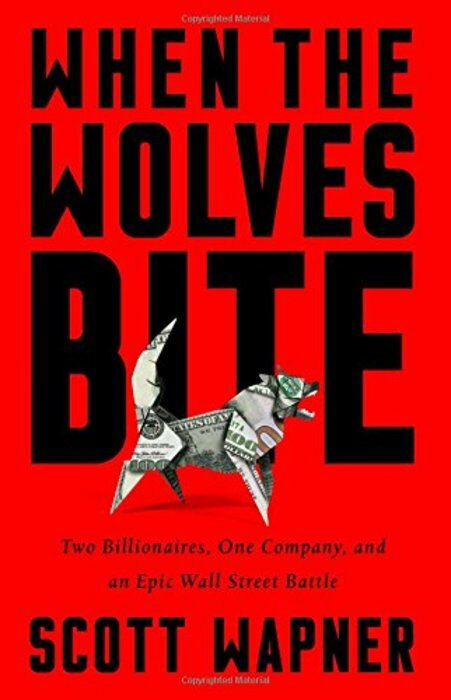 When the Wolves Bite is both a rollicking, entertaining read--a great business story of money and power and pride.